I just spent a weekend in San Antonio. I had a chance (alas not anywhere near long enough) to spend some time exploring Riverwalk. As touristy as it is, I have to say it is very beautiful and certainly adds incredible life to the downtown area. I am interested in learning more about these river walks and other canals, rivers, etc. and how they have been turned into a real asset to the city. 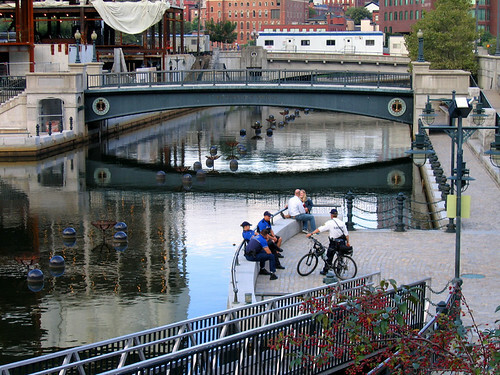 For instance, Providence took it's old canal and turned it into a public place. It now serves as a the home of WaterFire, the famous installation where bonfires run the length of the canal. This has really helped to breathe life into the downtown area. Pedestrian bridge with WaterFire braziers set up in river. Waterplace condos rising to the left. Similar view of Excahnge Street Bridge with gondola going under the bridge. Another view from Waterplace tower, blue glass GTECH headquarters recently completed, 2nd Westin tower rising in background. Pre-WaterFire photo showing GTECH and the Westin. 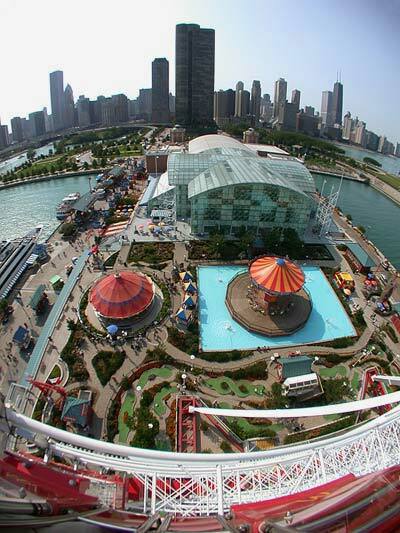 Navy pier juts out into the vast expanse of Lake Michigan in Chicago. Its a very popular attraction. Waterways are a really good way of sprucing up a downtown but this has only become feasible over the past decade and a half because the waterways are cleaner and people can enjoy them because of the Clean Water Act and other pollution reduction. It is important to remember that the only way these can be sustainable is if the water remains clean. Sorry to discuss this but it seems to me that with the roll backs on pollution control, some people in the public have become complacent and do not remember that America's waterways were disgusting only a few decades ago. And in many cases, initiatives like friendly waterfronts have been the driving force behind cleaning up our waterways. Here's a nice picture of Bemidji State University on Lake Bemidji, the lake that the city is built around. Of course you can't see much, because it's a heavily forested city. The Mississippi river runs through the lake, and is the furthest north point on the river. The waterways are used purely for recreation as the river is too small/shallow for commercial shipment. Thats a decent sized lake, how many acres is it? 6420 acres.. it's connected to a smaller lake, Lake Irving with a small isthmus in between that the much of the downtown area of Bemidji is built on. Oh, thats pretty good sized. I imagined it was larger than that though. Richmond is home to the James River, and the Haxall and Kanawha Canal. I like that last shot. 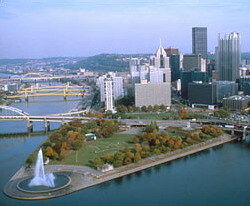 Its cool how they put the fountain in the river like that. Looks like they got a neat little riverwalk type of thing, too. Nice shots Tommy. Richmond is really cool looking with the large stones in the river. And the canal is a great place for development. Yeah, i like that, a lot. Looks like they are really capitalizing on its river. I found some photos of a canal that im not really sure it could be used for anything like a riverwalk, but i thought was cool, and wanted to share anyway. Its called the "Power Canal", located in Sault Sainte Marie, MI(way up on the Canadian border) it feed a massive linear hydro plant.Its pretty impressive to see in person. Exterior of the Plant, this things a quarter-mile long. The one thing that San Antonio did, that few other places seem to, is to bring life down to the waterfront. They allow businesses to open up and restaurants to shape their little section of the walkway - I think this really adds vitality. Sometimes those walkways along the water can get pretty intimidating at night. While I understand the urge to open up a lot of greenspace, I like how it coexists more in San Antonio. dtown, thanks for posting those shots of the power canal in the Soo. I've seen it before, but never had a chance to get a real good look before. It's a pretty neat structure. Milwaukee has done some really great work with its riverfront. It rebuilt many of the bridges along the river, added walkways along it, and lots of restaurants and cafes front the riverwalk. What I think is most interesting is, while running through the core of downtown Milwaukee, it almost seems off the beaten path. With boats the only traffic going by, it seems quieter and more serene than the noise of the streets. That little dining area along the river is pretty cool. I like places like that. Milwukee looks to have a pretty nice riverfront. Some plans for Detroit's formerly industrial waterfront. While I don't have any pictures of my own to share, Duluth's Canal Park is worth checking out. The area was once a dreary, nearly abandoned industrial area on a narrow strip of land between the harbor and the lake. 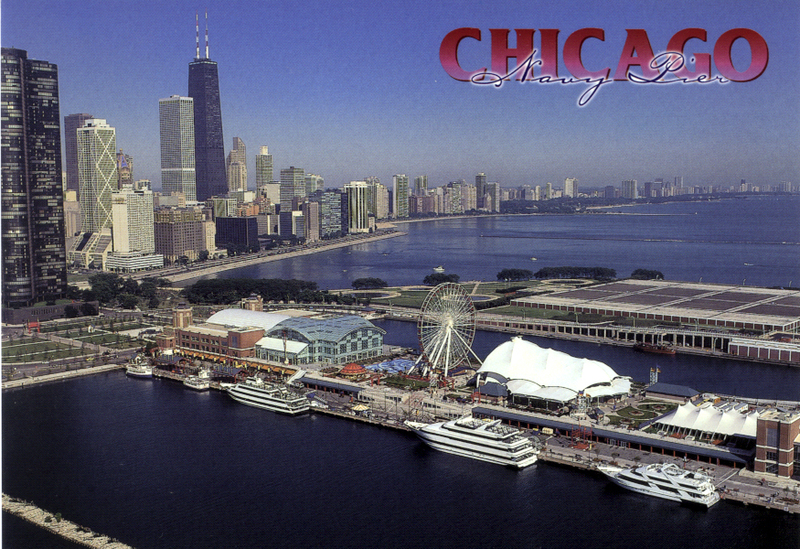 The area has now become an almost ritzy tourist destination with lots of medium to high end hotels, restaurants, and shops. Additionally, the city has had great success with its lakewalk, a greenway that runs from canal park northeast along the lake. Eventually the plan is to connect the lakewalk to the bike trail that is now being constructed from Two Harbors to Grand Marais, eventually providing a paved cycling trail from Minneapolis to just shy of the Canadian border. Columbia, Cayce and West Columbia, SC have done an admirable job with their Riverwalk along the Congraee, Broad and Saluda rivers. They are still expanding the walking trail system, but the finished parts are very well done. Sorry, no pictures. Taking back our waterfronts is so important. I was about to revive this one and say Chicago has really used its waterfront space well - they have a massive network of greenspace and even some beaches along the lakeshore, and by all accounts it's much-loved by the residents. But dtown beat me to the punch...San Francisco uses a lot of its space fronting the Bay with the tourist piers, ect. as well. Fort Worth is transforming the long neglected Trinity River in downtown into something special. Already, we have a beautiful park & trail system along the river, and now we're taking the waterfront back for development with a massive project known as the Trinity River Vision, now underway. We're replacing the levees with a bypass channel for flood control, creating a new urban lake, creating new islands with canals passing through them, and opening up 500 acres of former floodplain for urban development right up to the waterfront, with mixed use projects in the planning that will add tons of new retail, office, educational, public green space, and residential space (for up to 25,000 new urban core residents), doubling the size of downtown. "BTA was retained by the Tarrant County Water District to work with the team updating the Trinity River flood control system. The design brief was to prepare a framework plan and urban design standards for the Trinity Point lands in Fort Worth, Texas. The site is adjacent and north of the downtown core. This project was initiated by the strong desire of the community to reconnect their city with the Trinity River. This connection has been hampered by the fact that the Trinity River has a wide flood plain and as such the community has largely abandoned the waterfront. The historic struggle of how to connect with the river while maintaining safety from flood conditions was solved when BTA proposed the idea of building a bypass channel. This channel will divert the occasional flood waters away from the development lands. With this concept a 500 acre development site was created adjacent to the downtown and the river. This concept has transformed the community's relationship to the Trinity River and activities are being created to make the river an active player in the City's life. The new site plan creates in excess of 20 km of accessible waterfront and trails. This waterfront system is centered by an urban lake that will be surrounded by housing, retail, cultural and entertainment facilities, educational facilities, and civic functions. The lake will become a new public open space encouraging people to come down to the waterfront. The historic Trinity River bluff will be preserved as a natural park for all citizens to enjoy. The new development site will be home to approximately 25,000 residents. The site will have complete mixed-use neighborhoods with parks, amenities, schools, services, retail, etc. in order to be true homes for families. These neighborhoods will compliment the adjacent downtown commercial and entertainment core. By placing such a large group of people within walking distance of the core there will be a reduced dependence on the automobile. Sustainable strategies such as local storm water retention, low impact landscaping, dense land use development, waste water recycling will also be implemented in the plan." Wow! How much are they estimating that to cost?